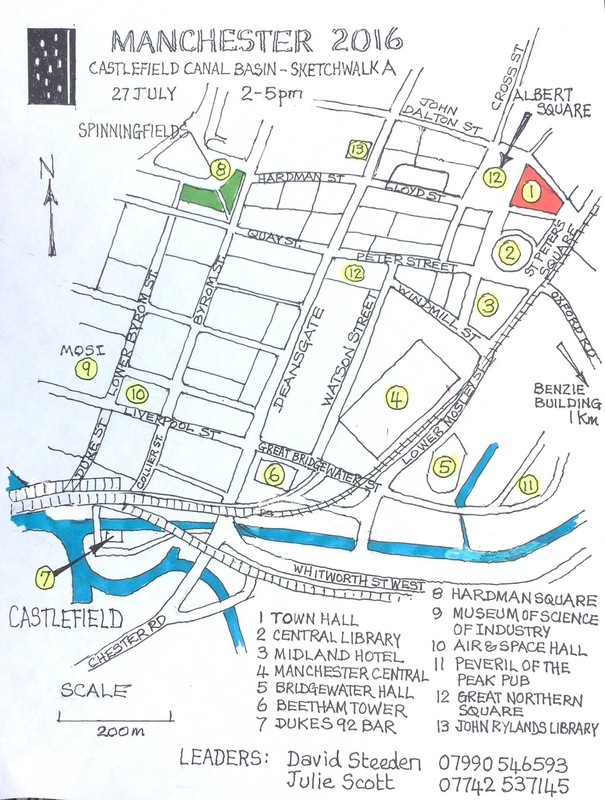 Julie Scott and David Steeden will be leading the Castlefield Canal Basin Sketchwalk A which will take place on Wednesday afternoon, 27th July, between 2pm and 5pm. Attendees are welcome to join anytime during this period. 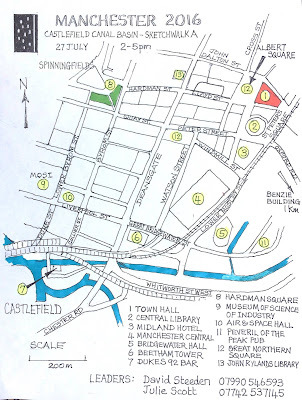 Castlefield is a conservation area that you can't help but appreciate, with numerous sketching opportunities of Manchester's historical heritage. We will meet outside Dukes 92 bar at around 2.00pm. See map for details. We will aim to sketch in the area until around 4.00pm after which we will move to Hardman Square, a recent regeneration development area in the Spinningfields area of Manchester, with modern business, retail and residential buildings which will provide different sketching opportunities. The opening reception is from 6.00pm in Manchester Town Hall, Albert Square, so we when we finish the Sketchwalk at around 5.00pm there will be ample time for people to find something to eat prior to the opening event.